Led by Danny Gilbert AM, Managing Partner of Gilbert + Tobin, the Innovation trade mission explored in depth Israel’s Innovation eco-system, delving into the data economy, quantum computing, fintech, cyber security, social impact, blockchain and cryptocurrency. The mission also had an agri, food and water tech focus. Led by Holly Kramer, Non-Executive Director of Australia Post, and Woolworths, and Jillian Broadbent AO, Chairman of Swiss Re Life and Health Australia, Non-Executive Director of Woolworths, and Chancellor of the University of Wollongong, the 2018 Women Leaders trade mission made up of 31 delegates explored the latest developments in customer and education technology. I had the pleasure of leading the AICC 2018 Women Leaders Trade Mission. Our focus was on start-ups in the fields of education and retail. We worked with the AICC to put together a group of 30 senior executive women with an interest in these areas. The trip was an excellent combination of history, politics, innovation policy and meetings with relevant start-ups. We each returned with an admiration for Israel’s economic achievements and the political challenges of the region. In addition to this broader perspective, we had individual technologies to follow up with in the edtech and retail tech areas. The delegation enabled us to gain a better understanding of Israel, relevant start-ups and establish beneficial connections between Australia and Israel. I joined the AICC’s Women’s Mission on Higher Education and EdTech and I can’t recommend the AICC’s Mission highly enough. The program was carefully curated and efficiently executed providing an extraordinary opportunity to engage at senior levels with the key players in the Israeli innovation ecosystem - relevant government authorities, higher education providers, venture capitalists, incubators and start up entrepreneurs as well as established companies. The AICC also ensured that our requests for additional meetings were fulfilled and I personally was able to add three highly relevant meetings with Hebrew and Tel Aviv Universities to the itinerary thanks to the access that the AICC was able to provide. We were treated to wonderful cultural and historical tours as well as thought provoking geo-political presentations. It was a fast paced week of extraordinary learning and interactions that were highly relevant to my roles and, quite frankly, to how we can all contribute as leaders to developing the Australian ecosystem for innovation and success. On top of that, I returned to Australia with a whole new group of friends highly engaged in making a difference in their diverse industries and pursuits. Thank you. It was a privilege to be hosted by the Australia-Israel Chamber of Commerce on its April 2018 Women Leaders Trade Mission to Israel. The Mission was superbly curated, delivering a unique perspective into Israel’s innovation economy. along with a vast array of transferable insights for Australian business leaders and policy-makers. Israel is positioning itself for future success through alignment of capital, education, research, policy, regulation and technology transfer to industry in the context of a clear and focussed national strategy. The Chamber served up leaders in each of these fields, each delivering a unique and complementary perspective. The blend of speakers from both large and small businesses was perfectly mixed. As a data and AI professional, it was particularly inspiring to meet tech innovators grappling with many of the same challenges and opportunities we are facing into. It was also invaluable to hear from policy makers who see their role as value creators over risk managers. Government has a clear strategy to embrace the data opportunity and set Israel’s innovators up for success which should provide inspiration for our own policy-makers. The social program was also excellent, offering opportunities to network with the impressive cohort of Australian business leaders participating and a deeper understanding of the societal context for the Israeli commercial strategy and broader economy. 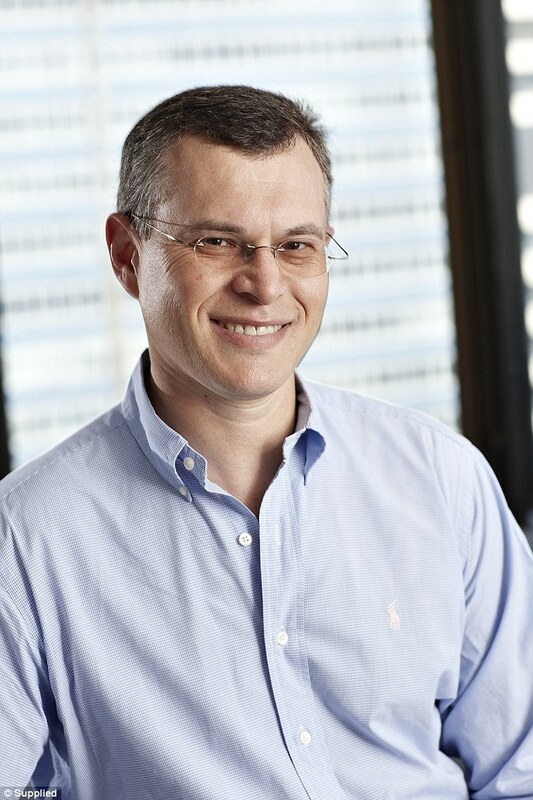 Led by Cliff Rosenberg, Non Executive Director – Afterpay, NearMap, Pureprofile and Cabcharge Australia. This mission explored the latest developments in technology including artificial intelligence, machine learning, cyber-security, cloud computing, augmented reality, education and social media. The delegation of 21 senior business executives were exposed to the unique culture and capabilities that continue to make Israel a frontrunner in global innovation and entrepreneurial success. This AICC Trade Mission surpassed all expectations that I had prior to heading over. The AICC team are nothing short of extraordinary! Passionate about ensuring that your business needs are exceeded. The effort each and every member of their team put into understanding your business, your personal needs and comfort prior, during and post tour is something I have never experienced before nor expected. Israel is a remarkable country, with delightful people, incredibly safe, amazing food, an extraordinary advanced “smart” tech country, driven people and a culture and history shaped over thousands of years. Be prepared to be amazed, surprised and delighted. I can’t recommend these missions highly enough to any business person and expect to make new best friends for life. The experience will totally re-shape everything you have ever thought about Israel, the local religions and its people. Led by David Gonski AC, Chairman of Australia & New Zealand Banking Group, and Ian Narev, Chief Executive of the Commonwealth Bank of Australia, a group of 46 Australian senior business and academic leaders visited numerous businesses and academic and cultural locations to learn about Israel’s exceptional eco-system of innovation and entrepreneurship, with a special focus on cyber-security and education. The mission was held in commemoration of the 100th anniversary of the Light Horse Charge, and delegates also attended the Battle of Beersheva commemoration ceremony and visited the new ANZAC Museum. I couldn't have hoped for a better first trip to Israel, or a better group of people to travel with. On top of the incredible scenery and locations, the conversations I had whilst sitting on buses, waiting in lines, visiting businesses or socialising during and after dinner were the gel that made the trip so enjoyable. Well done AICC and thank you! I really didn’t know what to expect from my first AICC tour. I had an idea that we would see brilliant new technology, hear from great innovators and speak to well informed subject matter leaders. What really surprised me was the pragmatic approach to solving major world problems and the need for patience and resilience. This indeed was a great learning. All of this took place in an extremely well organised and well led expedition by the AICC. I look forward to my next visit. Led by Nicholas Moore, Chief Executive Officer, Macquarie Group, the mission was designed to showcase Israel’s successful ecosystem of innovation and entrepreneurship, with a focus on renewable energy, water and associated technologies. Faced with a shortage of natural resources, Israel has developed world leading technology in renewable energy including solar energy, wave power and energy storage. It is also a world leader in water use efficiency with desalination, irrigation and agricultural production. The mission embraced Israel’s success in these fields as an example of how Australia can combat its future energy and agricultural needs. The objective of this mission was to expand collaborative business links, to understand Israel’s cluster methodologies & government support policies as well as to appreciate how the strategic integration of university and researcher inputs along the value chain is successfully achieved. It was a pleasure to lead the 2017 trade mission and see the innovation Israel is driving in renewable energy, water efficiency and technology. The AICC team tailored an itinerary that enabled us to experience Israel’s thriving business landscape and unique culture, making it an enthralling visit for everyone involved. As a result of the trade mission, Macquarie Group is now exploring opportunities in Israel, which shows how effective the AICC is in developing trade relationships between our two countries. Thank you once again for all the time and effort invested before and during the Trade Mission to make it a very intense, efficient and effective Mission. The mix of cultural activities and the way they were interspersed with the Trade activities was, for me, essential to understand the Israeli context that enables the Start-Up echo system. The Trade presentations and site visits were excellent and thus the combination of Trade and cultural activities was perfect – as was the size of the delegation. I do feel very fortunate and privileged to have been able to attend and hope to be able to leverage the experience for Woodside in the near future. A lifelong dream came true when I had the opportunity to visit Israel in Sept 2017, as part of a trade delegation led by Macquarie Bank and organised by the AICC’s wonderful team. The depth and breadth of companies we visited and met with, were very interesting and provided an extremely valuable insight into the innovation ecosystem in Israel. In addition to conscription and the ability to deal with failure, passion underlines everything an Israeli entrepreneur does to succeed. The tour was organised with military precision. The support the delegates received throughout the tour and even before we arrived, was gratefully acknowledged by all. I know I speak for most of my colleagues on tour, when I say that the most valuable part of the tour was the cultural element which provided a remarkable opportunity to visit the most memorable and historically significant cultural centres in the world. Thank you for inviting me, I will be eternally grateful and will cherish every moment. I was a member of the Renewable Energy Trade Mission to Israel in September 2017. It was excellent. The Mission had access to all facets of the industry, the programme was very well organised and used our time well, and we had good exposure to some of the key institutions that support the venture capital and tech industries in Israel. All of this was leavened by a good dose of history, visits to cultural institutions, commentary on politics from impressive speakers and abundant Mediterranean meals. The size of the group was about right, so you could get to know people, and I think we all came away feeling that we had had a most useful and pleasurable experience. 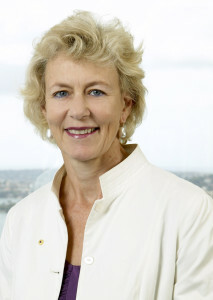 Led jointly by Diane Smith-Gander, non-Executive Director of AGL Energy & Westfarmers Limited and The Hon. Helen Coonan, company director and former Senator, the mission was designed for high level engagement between Israel and Australian based female leaders. The mission focused on key sectors of Innovation, Big Data, predictive analytics, IoT, Retail Tech and Cyber Security. Israel is recognised as a world leader in innovation, being ranked 3rd out of 144 countries in the WEF Innovation Rating (2015-2016). Through engaging with Israeli start-ups, venture capitalists and local leaders, the participants received valuable insight into how to promote innovation at home as well as networking with 40 of the top Australian female executives. The objective of the mission was to explore business and investment opportunities in Israel as well as understanding its unique entrepreneurial culture and innovative ecosystem. It was incredible to visit Israel on a mission with Australia-Israel Chamber of Commerce. This epicentre of culture and innovation delivered a lot of learning moments and sparked many new ideas as we experienced how Israel start-ups, government and education institutions create a wonderful ecosystem of growth and development. 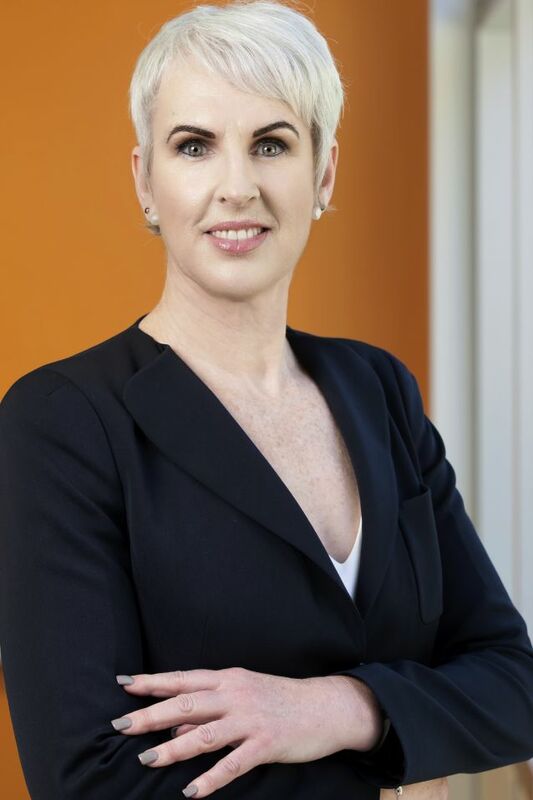 The opportunity to network with 40 fellow female participants, representing a broad range of backgrounds in Australian business, was also a highlight. What a unique experience to be a part of! I can’t thank Michelle and Jillian enough for their leadership and insight, both on the mission and throughout the year. Led by Peter Schutz, Chairman, Food Innovation Australia, the mission was designed for Food & Agribusiness leaders to engage, collaborate and to learn from Israel’s success as a world leader in Food and Agribusiness innovation and commercialisation. Israel is recognised for its world leading position in land and water management and sustainability, supply chain and logistics optimisation, support for innovation commercialisation and the sophistication and optimisation of advanced manufacturing processes. The objective of this mission was to expand collaborative “Farm to Fork” Agribusiness links, to understand Israel’s cluster methodologies & government support policies as well as to appreciate how the strategic integration of university and researcher inputs along the value chain is successfully achieved. The access and influence the AICC have in Israel across Industry Leaders, Government Leaders and Cultural Leaders is incredible. Their willingness and ability to design and flex a trade mission to meet the needs and objectives of the participants was greatly appreciated. Beyond organising a trade mission, the AICC team have worked hard to enable ongoing connection and momentum back in Australia for the food and AgTech delegates. AICC want to enable, and also be part of the industry gaining insight to building bridges with Israel and supporting change in Australia. I greatly appreciated the openness to ideas and design input to the trade mission, and would recommend that anyone thinking about doing business in Israel, do so with the support of AICC. The AICC’s inaugural all-women trade mission to Israel was led by prominent businesswomen Lucy Turnbull AO and Jillian Segal AO. The delegation attracted an impressive line-up of 36 high profile female non-executive directors, executive directors, CEOs and chairwomen who came together to learn from Israel’s unique and world-leading innovation eco-system. The delegation featured University of Queensland’s Dr Jane Wilson, University of Sydney’s Chancellor Belinda Hutchinson, former Chief Information Officer of both Qantas and Telstra, Fiona Balfour, Lisa Sonnabend, COO at Macquarie Capital and Diane Smith-Gander, Chairman at Broadspectrum, to name a few. As an active champion of gender equality, the AICC is delighted to have been the first Chamber spearheading an all women led trade mission, which the participants described as one of the most memorable business experiences of their lives. Under every rock I've picked up on this mission in Israel I have found first a thought provoking question followed quickly by a valuable lesson. Of course it helps to have a sophisticated guide like the AICC to point you towards the right rock to pick up. There's a spirit here that somehow allows enormous flexibility to co-exist with supportive structures - we've seen it most in the way universities partner flexibly with industry to ensure researchers' ideas are commercialised. And they do it in a way that allows everyone at the table to be rewarded. Totally win, win. It was a full agenda, comprehensively covering all aspects of the start-up ecosystem. I found it of immense value and in particular have gained an insight into the Israeli psyche and the Israeli economy which are driving this start up environment. The Chamber have been thorough in their preparation. We have met leaders in academia, government, venture capitalists, accelerators, R&D groups and startups. Additionally, we have experienced ancient and modern Israel and have been guided by experts. It was also great fun. The mission has let us see firsthand the innovation culture in Israel. It has inspired us to take real ideas and an entrepreneurial attitude back to our companies in Australia. Led by NSW Premier Mike Baird, this mission was one of the most successful to date bringing together a diverse group of people including NSW Police Commissioner Andrew Scipione, NSW Chief Scientist Mary O’Kane and medical cannabis advocate Lucy Haslam; as well as senior state government and university leaders, key business executives and top entrepreneurs. The group of more than 22 leaders, including 13 delegates from the NSW Government, came together to experience an unforgettable journey through Israel. Participants gained direct insights into the state of play in Israel, forging a deeper understanding of the ‘Startup Nation’ and how Australia can harness innovation as a nation. The trade mission was extremely well organised and provided great insights, perspectives and introductions. Israel is a great case study on how need is the mother of innovation and how with the right focus and alignment across government, industry and academia incredible things can be achieved for an entire nation. A unique way to explore Israel’s start up nation ecosystem with the additional benefit of being part of and getting to know others in the dynamic delegation. I took a lot from the experience! Participating in the Premier’s Mission to Israel earlier this year was a tremendously valuable experience. I was very impressed by the level of innovation that exists in Israel and the proactive collaboration between government, industry and academia. It was apparent how Israel is deeply committed to fostering entrepreneurship and is truly an innovation ecosystem. I’ve brought many of my learnings back to NAB and continue to share stories and new ideas with both customers and colleagues.